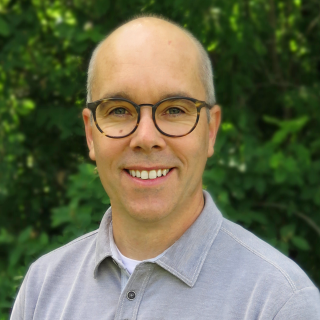 Dr. Mike Joljart grew up in Edmonton and graduated from Pacific University in 2000. He focuses his optometry on primary eye care, and has extensive experience working with contact lenses. This includes contact lenses for astigmatism, bifocal contact lenses, and working with patients who have dry eyes. He has also gained a wealth of knowledge seeing patients who are over 65 years of age. This often includes more specific issues such as macular degeneration, cataracts, dry eyes, and other diseases that are more common in the senior population. Outside of optometry, Dr. Joljart enjoys being outdoors. He especially enjoys biking, ideally in the mountains. He loves to be with his family, which includes his wife Dr. Kelsey Ford, their two great kids, and two cuddly dogs. 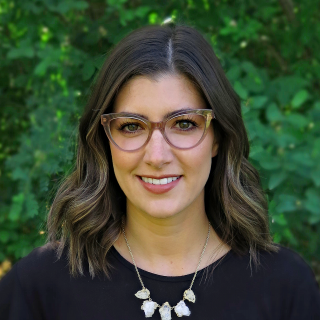 Dr. Kelsey Ford graduated from Pacific University College of Optometry in 2000. In 2003, Dr. Ford moved to Edmonton with her husband Dr. Michael Joljart to start their family. Their son Gibson was born in 2003 and their daughter Sydney joined the family in 2004. 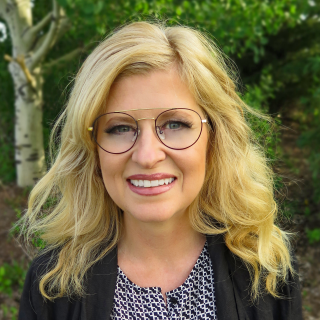 Dr. Ford has been actively seeing patients part-time in the Edmonton area since 2003, but decided to open her own practice in 2012 as a way to better serve the needs of her patients. Answering questions and helping patients understand their exam is a passion of Dr. Ford’s. She is currently taking new patients and welcomes all to her practice. Dr. Ford is dedicated to keeping your eyes healthy and seeing well – this means staying up to date on current medical trends. She has studied under the OMNI eye services in Chattanooga, Tennessee for advanced eye disease. The rotation included Glaucoma, Cataracts, and Macular Degeneration evaluation. She is also an avid outdoor enthusiast. You can find her biking, running, or walking around Edmonton and our beautiful river valley. 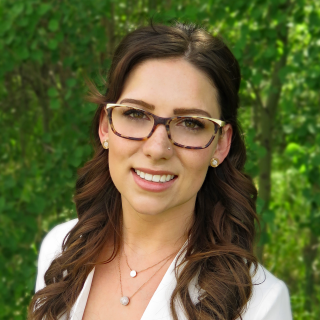 Dr. Krol was born and raised in Edmonton and is also a Pacific University, College of Optometry alumnus, graduating in 2015. She is very passionate about eye care. Dr. Krol has experience working alongside ophthalmologists in a surgical setting providing pre and post-surgical care. She is currently accepting new patients and provides care to patients of all ages. Dr. Krol practices full scope optometry including the treatment of dry eye, ocular disease, and the fitting of contact lenses. When out of the office you can often find her in the mountains, out and about with her dog Julep, or trying one of the city’s newest restaurants. Katryna has been with the practice since 2005. Originally starting out at an optometric assistant, she has now grown to be the “jack of all trades”. 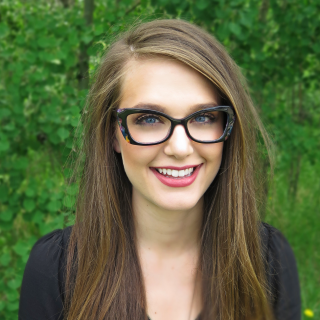 Katryna is passionate about helping patients find the best solution for their eye care needs. She is a wealth of knowledge and loves to take the time to give detailed answers to questions you may have. In her personal time she loves playing volleyball, Ukrainian dancing and spending time with her 2 beautiful children. 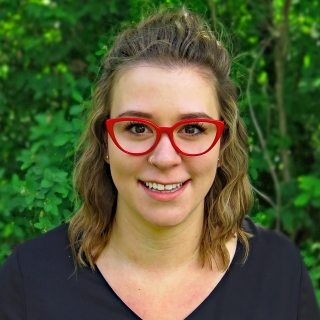 Karli grew up in the Sherwood Park and loves connecting and reconnecting with our local patients. Karli coordinates our medical optometry and Care 1 Telemedicine program – you will likely find her doing your pre-testing at your next visit! She loves discovering new frame shapes and colours and is frequently growing her collection. She loves to hear about your latest vacation or adventure – personally connecting with our patients is the highlight of her day! Maria is a Sherwood park local and grew up in the area. 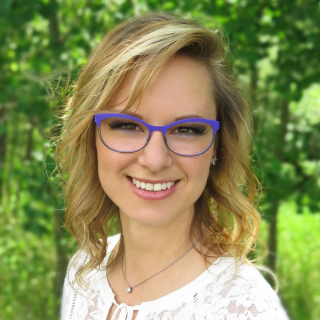 She has been in the optical industry for a few years and loves every aspect of her job. Maria has an amazing eye for style but never forgets the importance of function with glasses. She will go above and beyond to find the right frame and lenses to suit your needs best. She wants to make sure you are more than happy with your glasses. When Maria’s not working she enjoys travelling and spending her time outside with her loving chocolate lab. Manon is the newest member of the Doctors Eyecare team. She was born and raised in Ontario and moved out to Edmonton in 2014. You will find Manon at the front desk ready to greet you with her bright, beautiful smile. She is passionate about helping others which makes her amazing at her job. She loves interacting with patients and helping them with selecting their frame. Manon loves spending her down time in the mountains, trying new restaurants and cuddling with her 2 cats.